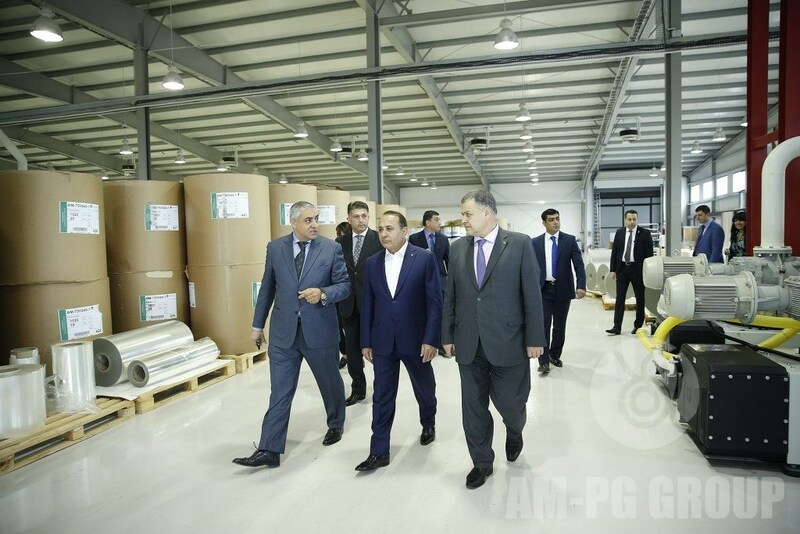 Today Mr Hovik Abrahamyan, the Prime Minister of the Republic of Armenia made a visit to AM-PG Group Ltd. The company specializes in the area of security and commercial printing. 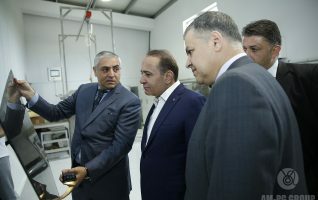 Accompanied by Mr Albert Taroyan, the company Founder and President, the Prime Minister made himself acquainted with the company areas of specialization, production processes and the business development plans. 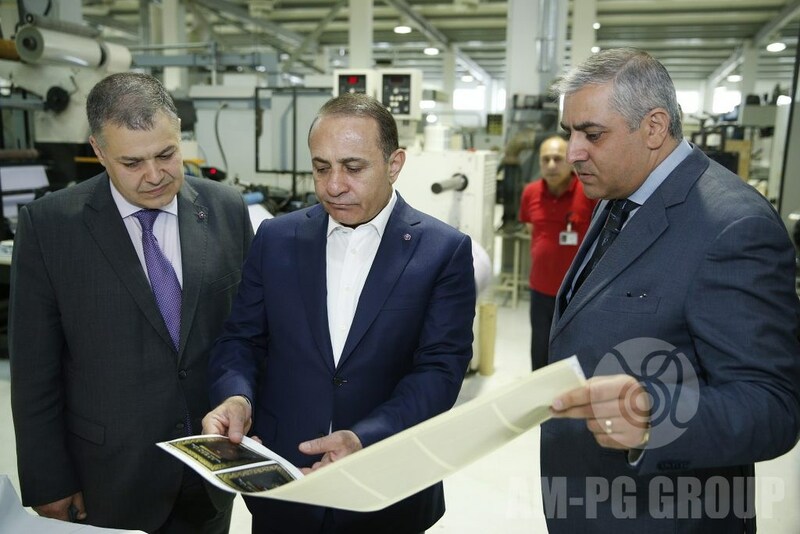 Mr Albert Taroyan noted that the AM-PG Group Ltd was established in 1998, and in 2008 it was granted a license of the Government of the Republic of Armenia for special secure state documents (passports, visas, excise stamps, etc.) printing . The company is currently offering exclusive solutions based on latest innovative technologies. 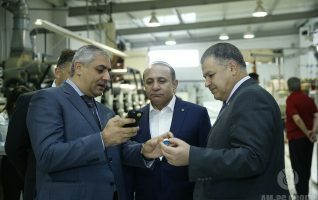 The company is closely cooperating with local and foreign producers and is occupying a leading role in the area of security printing for commercial, banking, and state sectors across the world. 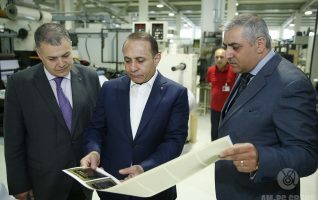 Mr Taroyan noted that with its over 600.000 square meters of every-day productivity capacity in roll and sheet printing, the company is in a position to satisfy every need and demand of the customer, and the quality is guaranteed by the use of latest generation machinery, tight security in place, strictest standards of control and inspection of the entire production process, packaging and delivery of the product to the customer. 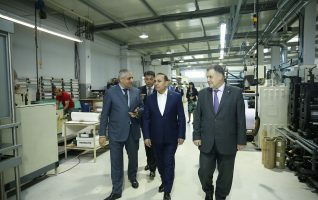 The Prime Minister was in addition introduced to a number of signature, proprietary trademark products developed by the company in the area of security printing. 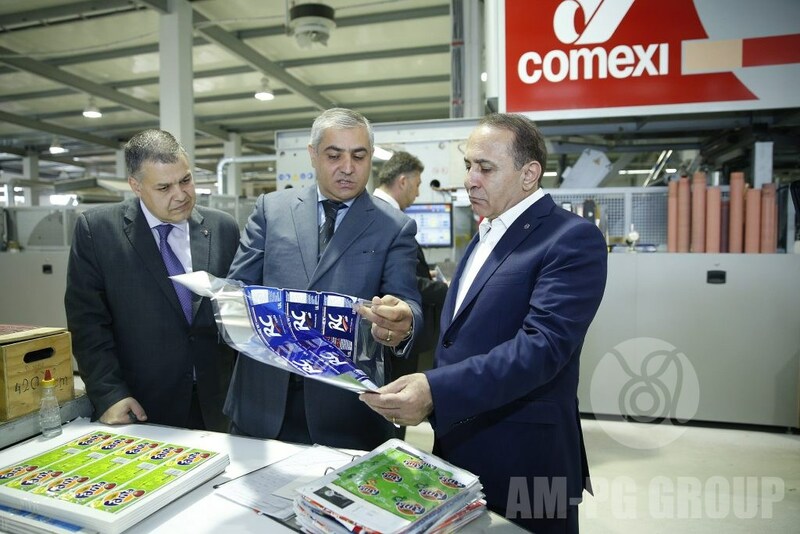 The company work has been recognized through international awards received by the company, including the latest Best New Innovation Winner at Excellence in Tax Stamps Awards (2014 and 2015), as well as Best Design at Excellence in Tax Stamps Awards 2015. 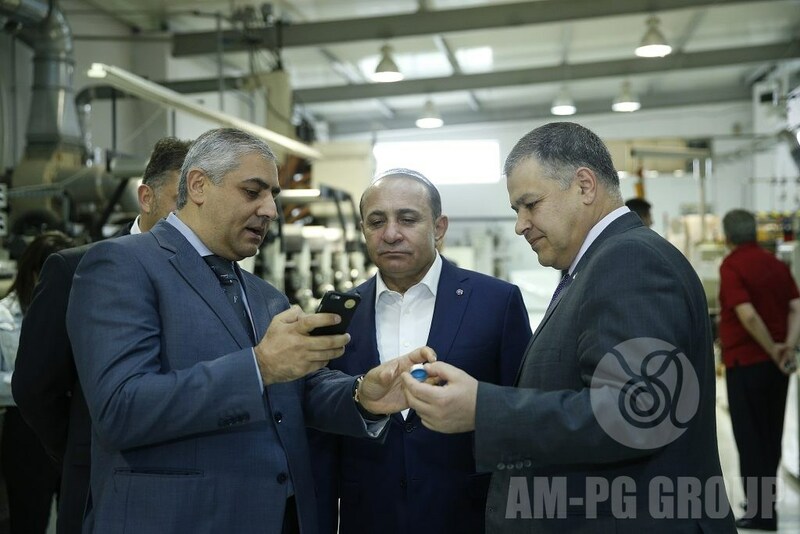 AM-PG Group is a member of IHMA, International Hologram Manufacturers Association, and a partner of UNICRI, United Nations Interregional Crime and Justice Research Institute. 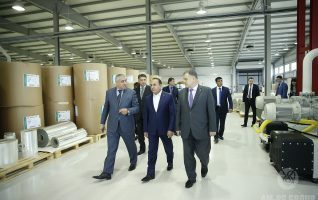 The Prime Minister welcomed the activities of the company and highlighted the importance of the continuity and expansion of the company programs.